BUFFALO, N.Y. (WKBW) — Four next generation auto dealers are picking up and carrying on the family legacy. Charles Basil, Lauren Paddock, Brendan Murphy and Catherine Heinrich each are leaders in their family dealerships. Charles Basil, the third generation Basil Family Dealerships Sale Manager, started in the business when he was only just a kid. "I love cars," he says, "I'm passionate about them and I like sales. So if it was something I wanted to do growing up or if it was something I was bred for, I'm not really sure." He also loves to give back to those in need. This past holiday season, the dealership launched its 14th Annual Toy Drive to benefit Toys for Tots. This isn't all that fuels Basil's passion for the business. "Ultimately, it's a legacy. It's a challenge because most businesses don't make it to their third generation. So really it's a challenge that I'm facing and ready to take on." Basil isn't the only Western New Yorker grabbing life by the wheel. 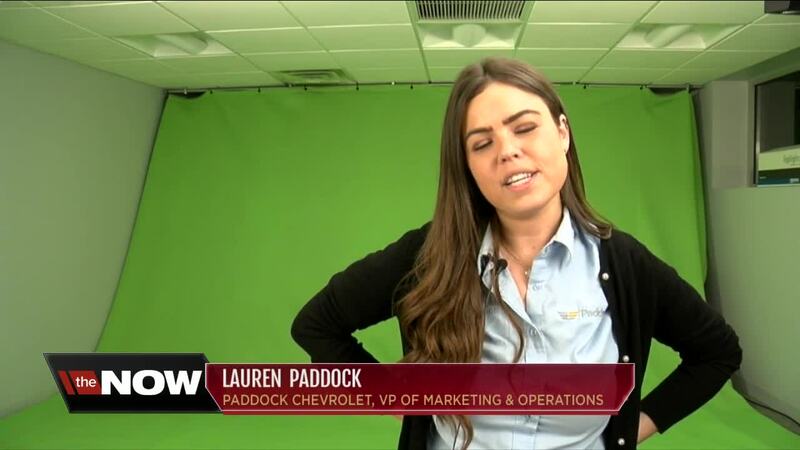 Lauren Paddock of Paddock Chevrolet is determined to create her own identity in the auto industry. You can catch her in Kenmore as the Vice President of Marketing and Operations and on the big screen. Marketing has always been a love Paddock's and so is continuing her family's 84-year-old tradition in the ever-so-changing industry. At Jim Buick GMC in Depew, Brendan Murphy's focus is reinventing traditions. As the dealership's Internet and Social Media Manager, he's building brand awareness one post at a time. As consumer's buying habits continue to evolve, Catherine Heinrich has her eye on the prize. The Heinrich Chevrolet New Car Manager is currently a student in the NADA Academy. "It's really eye opening to meet people in the auto industry from all over the country," Heinrich says. "There's always something to learn and I think that's the most exciting part about the business." Heinrich is proud to be a part of a fourth generation auto dealership and she's learned a lot from her family throughout the years. Like Heinrich, Basil, Paddock, and Murphy look to the future of the local auto industry, paving their own path to success.